Holtz Children's Hospital at Jackson Health System-Miami in Miami is large for a children's center, with an average of more than 200 children admitted each day. The hospital provides many services to patients and their families to make their visits more comfortable, among them sleeping areas for parents and siblings, and a family resource center. Computers and televisions are stocked with condition-specific content. Joe DiMaggio Children's Hospital is one of the region's leading pediatric hospitals, offering a comprehensive scope of healthcare services and programs in a child-friendly atmosphere. A full-service hospital, they treat minor illnesses, trauma-related accidents and some of the most complex medical conditions. Uniquely inspired by and designed for kids and families, the freestanding building offers many amenities. The vibrant colors, whimsical décor and larger-than-life murals welcome children to an upbeat environment where the "Power of Play" is a healing force. Each floor reflects an individual theme of sports, arts, games or dreams. All patient rooms are private and are wired for movies, video games, the Internet and educational programs, and room-service meals are available any time of the day. When Miami community leader Ambassador David M. Walters lost his precious granddaughter to leukemia, he vowed that no child would ever need to leave South Florida to receive the highest caliber of medical care. In 1982, Ambassador Walters activated Nicklaus Children's Health Foundation to meet that pledge, making possible the expansion of many programs needed to meet the needs of the children of South Florida. In 1983, the hospital was renamed Nicklaus Children’s Hospital and began its steady march to international prominence. Their name may have changed over the years, but their legacy lives on, enriched all the more by their association with the Nicklaus Children’s Health Care Foundation. No children’s hospital in the region has a longer commitment or more experience in helping children in need. Chai Lifeline’s guiding principles are: That seriously ill children need and deserve as happy and normal a childhood as possible; That illness affects each member of the family; That the well-being of an ill child is impacted by the well-being of his or her family; That pediatric illness can have a devastating financial effect on families.With this in mind, Chai Lifeline strives to; Find ways to bring joy to the lives of our young patients and their families through creative, innovative, and effective family-centered programs, activities, and services; Engender hope and optimism in children, families, and communities; Educate and involve communities in caring for ill children and their families; Provide unparalleled support throughout the child’s illness, recovery, and beyond; Offer all services free of charge to ensure that every family has access to the programs it needs; Embody the ideals of compassion, kindness, and caring for others inherent in Jewish culture and life. 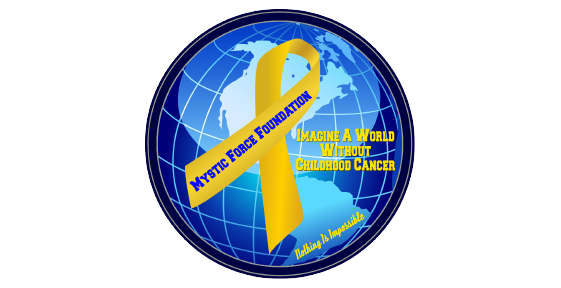 The Mystic Force Foundation was founded by Dr. Steven & Silvia Vanni in honor of their son, Salvatore, who at the age of 4 was diagnosed with Stage IV Neuroblastoma Cancer. Their main objective is to raise awareness of Childhood Cancer and desperately needed funds for research to bring less toxic, more effective treatments for these children. They strive to enhance the lives of children battling Childhood Cancer through in-patient hospital parties and granting 'Wishes' whenever possible. Their ultimate goal is to find a cure for all the children afflicted with this very painful and aggressive disease.